Deerfield Beach Florida Process Servers The Best Private Process Servers and Investigators in the State of Florida. Broward County Special Process Servers are appointed by the Sheriff's Office to serve Legal documents on behalf of Attormey's seelkimng professional process serviing services. We are A.C.E. Process Servers who have been offering deependable, licensed and timely service for twenty years. To have your legal documents served and delivered anywhere in Deerfield Beach and Brorward County Florida please call or E-mail us Monday through Saturday. Our Process Servers are available via telephone from 8:00 a.m. to 6:00 p.m. Monday through Friday and 9:00 a.m. to 3:00 p.m. on Saturdays. We are closed on legal holidays. Our email is monitored all hours of everyday and night. When you contact us for service of process in Deerfield Beach Florida, a licensed and experienced Special Process Server will be available to assist you every step of the way. We encourage you to inquire about how easy it is to arrange service in Deerfield Beach. 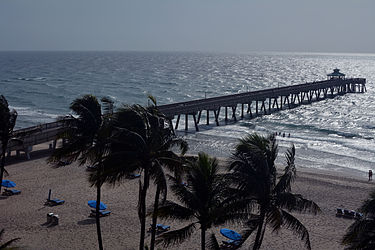 Deerfield Beach is known for its beautiful public beach, long pier and seaside restaurants.